That’s EXACTLY what I was thinking. Pep tried to emulate LVG’s Holland v Spain tactics. All Bayern clearances were from outside the box, and Bayern at times looked like having 10 players in midfield. But unlike that aging, short-passing Spain team, Barca is quick enough to work the ball wide and render Bayern’s initial 3-4-1-2 formation useless. Lack of width from Bayern was not unexpected considering the absence of Robbery, but Guardiola should’ve known that every team that managed to put up a successful fight against Barca in all these years, including Heynckes’ Bayern and even Bielsa’s Bilbao, had two players in each wide area, and managed to contain the full-backs. Alves and Alba were so good last night because Bayern’s formation allowed them a big lot of space. 3-5-2 and 4-4-2 diamond are definitely not the systems to defeat Barca. I’d also like to see Lahm playing the Alonso role. He can run more and he showed good signs last season in that position. Alonso is just not in his prime. Anyway, the big mistake was selling Kroos last summer. A good thing for Barca this season, which was greatly showcased last night, is their defensive prowess without the ball, a feature they lacked the previous 2 seasons. Last season for example, Atleti pressed them for around 20 minutes at the Calderon, and managed to score a goal and hit the post 3 or 4 times in these 20 minutes. Now Bayern pressed for longer periods but just managed one shot on goal. Surely, Atleti is far more direct, but Bayern is also able to pull counter-attacks. Barca just didn’t let them. Props to Luis Enrique for maaking the team more defensively solid. It seems he was the right guy to re-implement the 6-second rule after Pep left. What is truly impressive is the tactical variety of this Barca team: it can play possession football, it can play on the counter, it can build up plays slowly and can play more directly, it can take the ball from the back through short passing, it can also throw the ball directly to its strikers when pressured (and do it effectively) etc. In a way, it emulates a bit the first pep team (2008/09), which was often a bit more direct in its play compared to the one that won the CL in 2011. 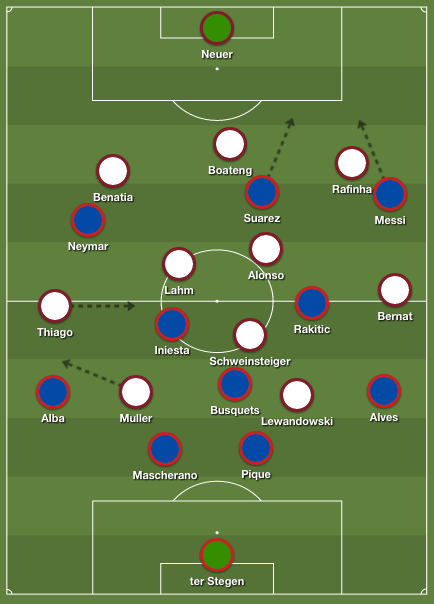 In any case, the result of this versatility is that since the beginning of the season Barca has only lost 2 games against big opponents (vs. PSG in Paris @ the group stage and vs. Real Madrid in October), and has won: Atletico Madrid three times, Real Madrid once, Man City twice, PSG three times, and now Bayern Munich. 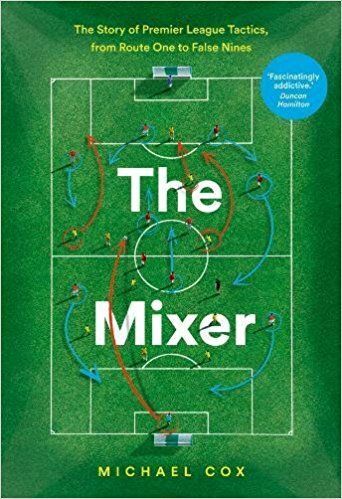 This is an astonishing performance against strong sides, and I can’t really see how one can really stop them – precisely because they have so many options, both in terms of players but also in terms of tactical options throughout the game. I tend to agree with what you said, I do think Real Madrid is the only team that can time after time keep up with them and probably win half the games against them…. IMO, Real won convincingly 3-1 in October, and suffered a 2-1 loss in a tight game in March…. Those results suggests the teams are relatively at par, rather than one clearly much better than the other…. Neither loser played bad in either clasico this season, the winner was just a bit better…. What I am sure of is that Real and Barca collectively are miles ahead of the rest of Europe, I say this expecting Madrid to win the tie with Juventus and advance. Do you forgot city vs bayern match? A colectivilly team with 10 players stronger than the other 11! What a performance, don’t you agree? Still there are things that a coach can not control like an unforced error. Tell me where are the main diffetences between bayern,barca,real or juventus? I can help you, only one of them play like a team dispite the players they have for it. As a bayern fan, I think overall we did good defensively for the first 75 minutes or so with the current available players. The way Pep decided to press high because of his intention to eliminate Barca’s build-up from the midfield(thus reducing the number of chances that MSN can have the possession of the ball)means that it was hard to not leave spaces behind the back four for MSN to exploit. 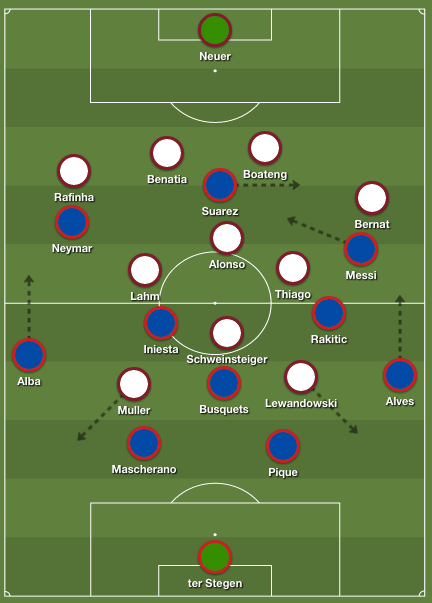 Similarly, Barca also took the advantage of the lack of Ribery and Robben by pressing high and tried to battle with bayern for the control of the ball and counter-attacked on the break. 1.The ball played by bayern’s defenders for the build-up at the back were very poor, they simply made too many mistakes like they did in the away leg against Porto. First, despite that Boateng and Benatia are strong defensively, they lack the ball-playing ability and calmness of Badstuber. Had bayern had Badstuber in place of either Boateng or Benatia, the build-up at the back would have been much more effective and it could also help Alonso and Schweinsteiger in the middle by acting as a release-felt to release them from the pressure by the barcelona players. One player that I want to mention specifically is Bernat, he was simply awful in both defense and attack. On the defensive side, if you are facing directly with a player like Messi, who was there to try press and win the ball from you every minute to launch quick counter on the breaks and you know that your passing angles to your teammates have been blocked, you should clear the ball as soon as possible rather than sticking it under your feet, the longer you do it, the more you will slow the tempo of the game and the more you will be closed down by your opponents.It was careless mistakes like this that gave Messi too many chances to win the ball on the break and launch the counters. 2.The lack of Ribery and Robben were detrimental for bayern. This affected bayern in many ways, both in defense and attack. First, without the help from Ribery, Bernat alone can’t exert enough pressure on Alves to push him back. Last night he was totally subdued by Alves and Messi and was exposed defensively. One thing deserved to be mentioned is that although bayern managed to create many spaces on the barca’s flanks, but because they lacked players like Ribery and Robben, bayern players lack the ability to dribble past players and the speed to launch effective quick counters. Furthermore, the lack of Ribery and Robben meant that Barca could become less cautious about the threat from bayern’s counter attacks. 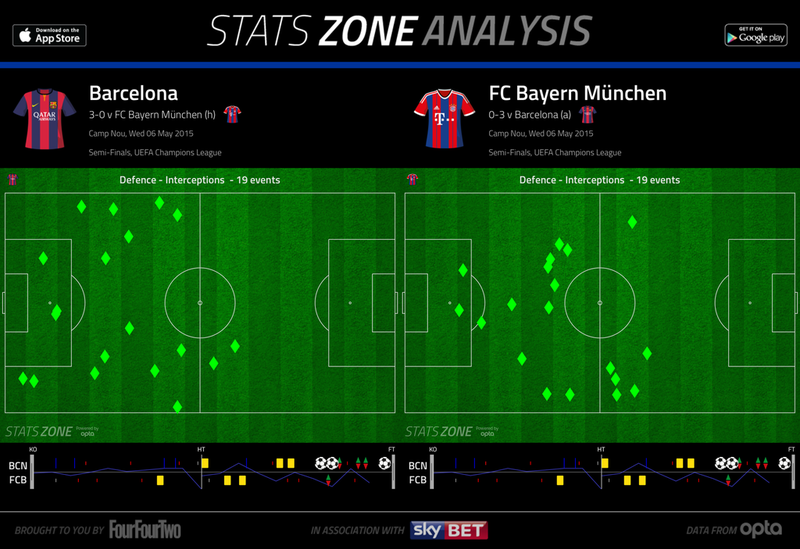 As a result, this allowed barca to press higher up than usual and battle with Bayern for the control of the ball. As a bayern fan, I was truly saddened by the result. We were really close to a draw 0-0 but conceded three painful goals all of the sudden near the end. However, I do admire the greatness and the talent of Messi. He is such a wonderful player that has made the football enjoyable to watch and when he is on form, he is simply UNSTOPPABLE. Football philosophers were the losers last night. Bayern press high but there was a huge gap between mid & defense. I think Dortmund in their prime would have done a better pressing job. “If your opponent is stronger running in behind defense, why give him space?” Mourinho. All these pathetic philosophers will bark but we all saw Guardiola’s reaction to the third goal. It proved a point. I think, everybody who watched this game can be happy to have seen one of the best games ever played. Technically it was very high level. Tactically it was a very high level. Nearly everything that happend in such small spaces was high class football. Only this quite to high result to expect an come back from Bayern is disadvantageous. Of course there is no perfect game but we have seen two teams that wanted to play football, that wanted the ball and that were able to do something with the ball. A pleasure to watch. The lack of width in attack may cost Bayern this tie. They didn’t create many chances. But to play this quite risky tactics in the beginning was no mistake from my view. You can’t press Barca with only a few men, the whole team has to press. Therefore you have to risk a high line at the back and one on one situations. But Bayern has Manuel Neuer, who with his sweeper style, can cover huge space. Some say he is too risky, but they don’t understand football. If you don’t commit fully to this strategy, it won’t work. If the goalie hesitates it won’t work. It was a risk but it was the right tactic for the first 15 minutes. The problem for Bayern is that they conceded the second goal very soon after the first. And then the late third was a unnecessary killer. We have seen a real game of 11 vs. 11. We don’t get that very often. Chelsea? Man, this is a decent forum, leave the bad jokes for your bbq meetings. If Messi keeps his form and can play the final Barca will win the Cup this year.. I think the most modern coaches and managers are no longer thinking ‘formations’ any more. They’re thinking roles, responsibilities, spaces and interplays. The ideas behind formations are blurring rapidly. My comment is not on this match. All I have go say is Bayern for all their quality lacked pace,Attacking and attacked with few men, showing no conviction. The real issue is: why is there no Juventus vs. Real Madrid analysis? It seems that recently on this Website you only focus on the defeats of Bayern München. Are their victories this saison (even the ones like 6:1 vs Porto, 7:1 vs Roma etc) not good enough to write about? The guy who runs this site, Michael Cox, takes on a big load. He analysed all 64 World Cup matches on this site and I think it damn near killed him. He’s also done every key game of the last 5 years here. He dialled it back this season. I think Michael chooses the games he will cover before they occur, so he doesn’t especially focus on the defeats of any side. And he writes on other sites, too, so the games you mentioned may have been covered elsewhere. the Roma game was remarkable indeed, but Michael was taking a break from ZM back then. The Porto game, I don’t think it showed something that was previously unseen tactically. This game was to a very high standard and was thoughly enjoyable to watch. I believe that Barca and Bayern are the two best clubs sides in Europe this year and the winner of this tie (Barca most likely now) will go onto win the UCL. Pep Guardiola coached sides are fantastic to watch. He always has a surprise in store. His man marking system and especially 3 v 3 at the back was something only he would do. In saying that, this tactic was crazy on this occasion. Boateng is not agile enough to be so isolated and as has been pointed out Barca have the best front htee in the world. Combine these with a huge Nou Camp pitch and it was never going to work. Only Neuer kept Bayern in it and for me he is obviously the best goalkeeper in the world. If Pep was going to play this way then I think he needed to start Lahm as one of the back 3 and to play Schweinsteiger deeper alongside Alonso. He could then have played Gotze in the front 3 and offered more of a threat in attack, especially behind Barcas marauding fullbacks. This is the best way to stop opposition fullbacks from bombing on. I also think the psychology of Peps opening approach was wrong here. By doing something so crazy he was admitting that he couldnt defeat Barca by playing conventionally. I know that Bayern were without a number of key players but this is extraordinary to me after the great way in which Bayern has played in the UCL this year. I cant help but think that this wouldve had a negative impact on the Bayern players even though they acquitted themselves quite well on the night. If Lahm would play right back today, people would be surprised to see that he isn’t the best in this position anymore. I thought he was one of the not so good players in the beginning. He was a little static in one scene when everybody was fighting for the ball and he’s sometimes late against the opponent. That is not only his problem. Bayern has a lot of player 30 years old or older. I don’t want to say that this players are all no good anymore but they are no longer as fast as in their past. Schweinsteiger, Alonso and Lahm is a quite old setup. A few more fresh legs would make the job for the old guns easier as well. With Alaba that would’ve been the case. I don’t think the approach was wrong. They conceded the first goal when half of the players were still thinking about what happened to Neymar in the box. 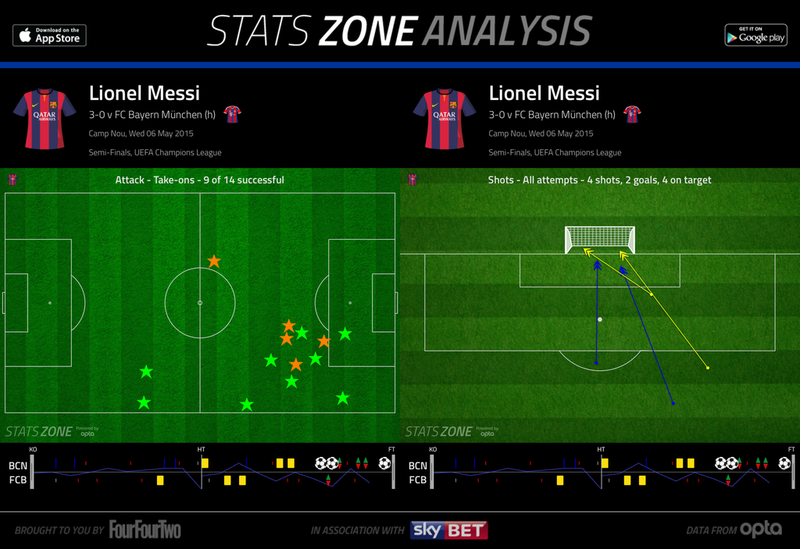 Neuer wanted to start a fast break, Alves wins the ball and Messi finishes. That had nothing to do with the beginning of the game. After the first goal Bayern made the mistake not to protect this result for a few more minutes and cool the game down. A lack of concentration in the final 15 minutes and a too risky approach when they went for the away goal in the end was Bayern’s mistake. I hope Juve score first in Madrid (interesting stat: they’ve scored early goals on the counter in 3 CL matches – 2 against BVB and 1 against Madrid) and I believe that the tactical battle will be very interesting after that. If they just sit back and go for the 0-0, there is no hope for them. I think 0-0, or 1-0 Barcelona would be a fair score for this match. If Lewandowski had poked in that chance we could even have been looking at the perfect away performance here, and the perfect anti-Barcelona recipe – without parking the bus. However, Bayern were too sloppy to pull it off. They didn’t look scared on the ball, but they also didn’t *really* look like scoring, and *always kinda* looked like conceding. I suppose, it was a gallant effort, but we really have to question what Guardiola has actually brought to Bayern Munich. Would a Heynckes-style 4-2-3-1 with Javi Martinez alonside all the Nationalmannschaft stars have really lost this badly? And last year too, to Madrid? I know we can never know but I truly don’t think they would. 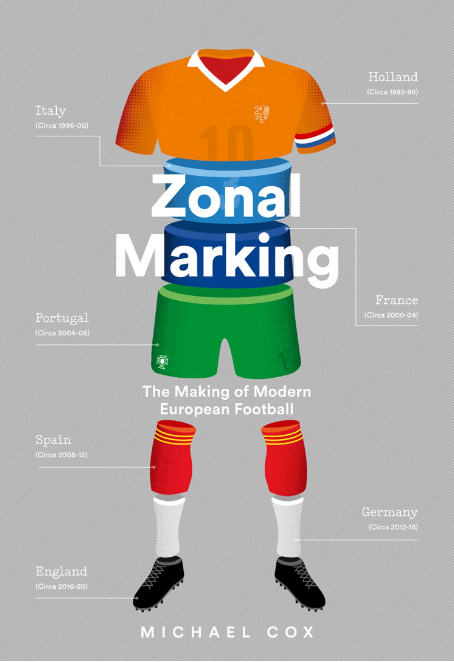 Athleticism is a huge aspect of modern football and it can give you the edge in these big games. I think Guardiola has to consider his position, and maybe regret not going to Man United, or maybe even the Spain job. Now let’s see how Juventus do … that will be interesting! I assume Guardiola took this risk hoping to score also 1 or 2 away goals, however Lewa missed the big one (maybe the mask compromised his vision …)…so yes, game could have also ended 2:1 (or 4:1? ), but 0:0???? As a long time Barca fan who loved the game and was very happy with the outcome on many levels – any mention of this game needs to remind us: Bayren was missing several key players. Last time Barca didn’t have Messi. That’s football. I think most comments here missed the forest for the trees. The most critical weakness of this Bayern during this game and in fact throughout the season is their weak link of Bernat, Benatia and Rafinha. They got away in Bundesliga most of the time but I know that it is a matter of time they will be exposed when they meet really strong time. It was the poor positioning and mistakes by these players which created goals and chances for Barca. I don’t know why Pep bought Benatia and Bernat despite their are not being world class. Rafinha never established himself before Pep came and was on the verge of being sold. It is true that Bayern missed Robben and Ribery and lacked cutting edge. But unless Bayern have better defensive players to support Boateng and Badstuber I cannot see them winning the Cup again. Dante is no longer the player he was 2 years ago. As such they need to buy new players. As for the game itself, even though it was at Nou Camp, Bayern was in control most of the time and Barca didn’t able to take control of possession. But it was defensive mistakes which allowed them the goals and chances. …so tell us: which defender should Bayern buy to stop Messi the next time? ….Bernat played a very strong season till the Barca game (e.g. he was brilliant against Porto) – due to lack of alternatives (Alaba injured) he might have played too much and paid the price in this game…unfortunately nearly every Bayern player seems to be not 100% fit at the end of the season with Schweinsteiger and Lahm just back from injury. For sure the WC also contributed to the injuries / tiered legs we see now. Bayern had more alternatives on the bench (plus they bought Benatia and Alonso as a response to Badstubers’s and Schweinsteiger’s injuries) than e.g. Dortmund, hence they made it through the Bundesliga, but for Barca in this shape they need their best players at 100% fitness. 2 years ago it was the other way around and Barca had to face these problems. To stop Messi, you need to use the tactics of zonal marking to try to limit all the possible passing options and spaces(also cut out the spaces for him to turn and cut inside) available to him and surrounding him. Germany did this superbly back in 2010 and 2014, and Bayern did this as well in 2013. One on one man-marking against Messi is useless and will only result in more holes in your defense, not one defender in the world can stop messi on one on one situation(Third goal with Boateng for example, also please look at how many times he nutmeged Fernandinho in the home game against Man. City when Fernandiniho tried to track him down). He is not a let-say, a Xavi, Pirlo or Iniesta type of player. The challenge now with Barca is that there is also Suarez and Neymar: against PSG is was Suarez who won the game against David Luiz – I think if a manager just adopts the tactics to Messi you he give Suarez and / or Neymar too much space. Messi – beside his talent – definitely benefits also from the fact that focusing just on him doesn’t work anymore. Look at the statistic: over 100 goals from this trio this season – if they can play he final they will win, no matter whether it will be against RM or Juve. I agree about Messi’s talent. But MSN can be stopped. Yes，Neymar and Suarez are truly amazing players and they have scored a lot of the goals，but you have to understand that Messi is still the key behind this achievement. With Xavi being benched due to his aging and the gradual decline in Iniesta’s form, Barcelona can’t dominate the midfield as they did before, so this demands more from Messi. Today’s Messi is not the one we used to see back in 2008-11(he was more of a direct goal threat back when Barca’s midfield was dominating with Xavi,Iniesta and Sergio) his current role besides scoring goals can be summarized as this: 1.Dropping back to the midfield to help Iniesta, Sergio and Rakitic to participate in the build-up play and keep the tempo of the game 2.Creating spaces for Neymar and Suarez on the flanks by drawing defenders to his attention 3.Linking the midfield with the Neymar and Suarez up front. Neither Neymar nor Suarez can play Messi’s role this effectively, like CR7 and Bale of BBC, these two players need the ball at their feet. So to stop MSN, you have to stop Messi in the first place. If you have watched the El Claisco back in April, Anchelotti did a great job of pressing Barcelona midfield to limit MSN’s possession of the ball. Never make excuses for argentina’s failure. It will only make you look more ignorant. Be humble and learn something from the defeat rather than making these subtle excuses is always the wise choice. Nothing is invincible and formidable as well and MSN is not the exception. Even a team as strong as Barcelona back in 2008-2011, who were able to dictate almost in every match they played could be defeated by counter attacking football, so what is so special about the current day Barcelona?A team that relies so heavily on the talent and creativity of Lionel Messi due to the aging of Xavi and Iniesta than they used to. Based on your excuses for Argentina, I can make a similar excuse that had Bayern had players like Robbery, Javi Martinez and David Alaba in the lineup with every player at full fitness like Barcelona had, and with the right tactics, it would have been more than a match for Barcelona. Even if Barcelona makes it into the final, no matter who they will face, Juventus or Real Madrid, they will exploit Barcelona’s weakness on a much higher level than Bayern did with current available players. I agree with Bennyboy on the Barca’s current system has changed and that MSN can be stopped with right tactics. In my view there is too much being written about MSN and BBC and their 100 plus goals. No disrespect but scoring that many goals in La Liga is no big deal given the huge gap in monetary resources between the top 2 and the rest. I don’t think Neymar and Suarez had a good game vs Bayern and had not for Messi things would have been messy for Barca. Pep made mistakes in buying Benatia and Bernat and in keeping Rafinha. When you lose in semis you go out and buy players to strengthen your team and not to fill it with squad players who are no better than the current reserves. I am not sure why Sammer and Kalle didn’t put some sense into Pep to buy players who are world class like Barca, RM, Chelsea, PSG,etc did. There are some good defenders available even in Bundesliga and I am quite sure that there are plenty more who would jump at the chance to play for FCB. The 2nd issue I have is with Pep’s tactics vs Barca. The point is not to hang on the ball but to score goals or at least create chances. When you play Mueller and Lewa on the wings, who going to get you the goals? The right tactic would have been the same one vs Porto 2nd leg – attack the wing, over load it and get Mueller and Lewa attack with headers. This slow passing game played into Barca’s hand, and their defenders easily read the moves and cut off attacks. What a fantastic article and of course what a fantastic game of football, loved it! Messi is unstoppable, I dont think any of us in our life times will see any better then him! “Pep Guardiola failed at trying to beat Barcelona at their own game”Michael Cox said. Forgive my bad english, did you see the game? Messi won the game alone! It wasn´t Guardiola who failed tactically. What do you expected he could do with those players? Can you compare the criativity of players like Messi, Iniesta, Neymar, Busquets, Pique, with players of Bayern? Only Tiago Alcantara and Xabi Alonso are at the same level! But tactically Bayern played better than Barcelona, otherwise they would lost by 6 or 7 goals. In the second half Barcelona did nothing to put in danger Bayern defense, not a single imbalance until Messi took advantage of a mistake of Bernat. Take Messi from the team and then you would see what would happen. Bayern does not played like Barcelona because the players are diferent so the idea of the game must be diferent althought the principles of the game are the same. Watching Real-Valencia now. RM are extremely vulnerable to counter-attacks, especially from tthe flanks. Kroos got injured again and if Modric is not fit (most likely) Ancelotti would play Illaramendi in the holding role vs Juventus. Can’t see how Madrid will not concede a goal against the Italians, really. Hey roel (and all you bright minds over here), come join us at the Guardian if you want to discuss the RM-Valencia match. You need to register first, but it’s worth it. They usually put up match report of big games not long after the match finishes, so you don’t have to wait for ZM to do an analysis if you want to discuss concerning the game. Btw, I think I heard the commentator said that they took off Kroos just as a precaution, he should be fit for Wednesday. Hey roel (and all you bright minds over here), come join us at the Guardian website if you want to discuss the RM-Valencia match. You need to register first to be able to comment, but it’s worth it. They usually put up match report of big games not long after the match finishes, so you don’t have to wait for ZM to do an analysis if you want to discuss something concerning the game. what is it michael i thought that you would talk of the match instead you keep on giving reference’s about the past matches why dont you talk about this match in detail . but one thing that i need to write is that when bayern went 2 goal down and muller got substituted they just lost the fight . they were just moving the ball aimlessly . there didnt seem to be a purpose in moving in trying to open the opposition defense but with muller the fight just evaporated in bayern’s team . now bayern may have lost this match but due credit should be given to gaurdiola atleast he tries to imagine game like a chess player .trying to visualize opposition and drawing opposition into his tactics rather getting drawn into them . yes against barca it was going to be difficult and against messi the best player ever to play football no tactics can work but still it was good try without his best players unavailable . now bayern started with 3-5-2 and then switched to 4-4-2 after just 20 min cause they couldnt cope against the barca pressure . now since you had covered the bayern dortmund match . i think bayern practiced their formation in that match and tried it in this match . earlier he used in the middle . the opposition would just congest the middle of the park and stop messi . most importantly he didnt had a good forward to play with which had been filled by suarez who’s movement creates space for messi . most importantly i think the player that has most benefited with this system with barca playing on the counter is neymar . messi gets the defense stretched or gets their attention on his side which gives neymar a straight run on goal and messi is a very good supplier and perhaps the best supplier of the ball . the only player that needs mention for bayern is alonso . he kept the ball ticking and did the best he could in shielding the back three first and then the back four . he was the one barca tried to stop but alonso played beautifully and didnt the proper support from his other midfield partners . atleast this week bayern will have to show something even if the they come up short or else the blame will come on gaurdiola and his future will be in doubt .